Ever since Apple launched the single-port 12-inch MacBook, we’ve seen a flurry of companies offering to add the missing ports back in through various adapters, hubs, docks and more. Latest to the party is Branch, a Kickstarter project whose USP is its ‘form-fitted’ shape, which is naturally available in each of the three MacBook colors. The 12-inch MacBook is the ultimate portable Mac, but that single USB-C port feels a lot less convenient when you want to connect to a bunch of devices at home or in the office. We covered a $79 portable hub yesterday, and now OWC has announced its $129 desktop model, available for pre-order today for delivery in October. 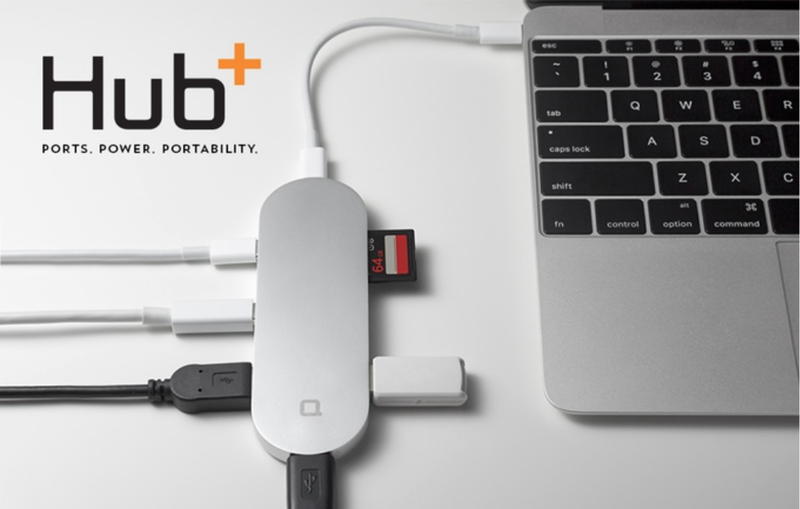 A neat hub designed to provide 12-inch MacBook owners with a useful way to connect existing devices has just hit $670k on Kickstarter – somewhat in excess of its modest $35,000 goal. The radical approach taken by Apple in equipping the new 12-inch MacBook with just a single port for both power and connectivity makes the machine extremely sleek, but somewhat problematic to use when you want to connect multiple devices. Two Kickstarter projects aim to solve that. We’ve been poring over Apple’s change to the 8.4mm by 2.6mm USB Type C standard since we got tipped the design of the new MacBook late last year. It is a big change for Apple and puts the future of longstanding technologies like Thunderbolt and MagSafe into questionable status. Even Lightning seems a whole lot more vulnerable when an adapter that is marginally bigger, but has the whole industry behind it, shows up in Apple’s future flagship laptop.